A big hello to all the kids from Auburn School. I'm looking forward to meeting you in April. Wow, that's not very far away. 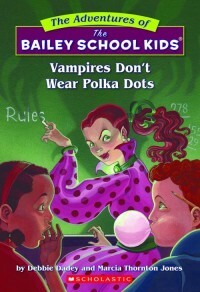 Madisyn, my first book was Vampires Don't Wear Polka Dots. 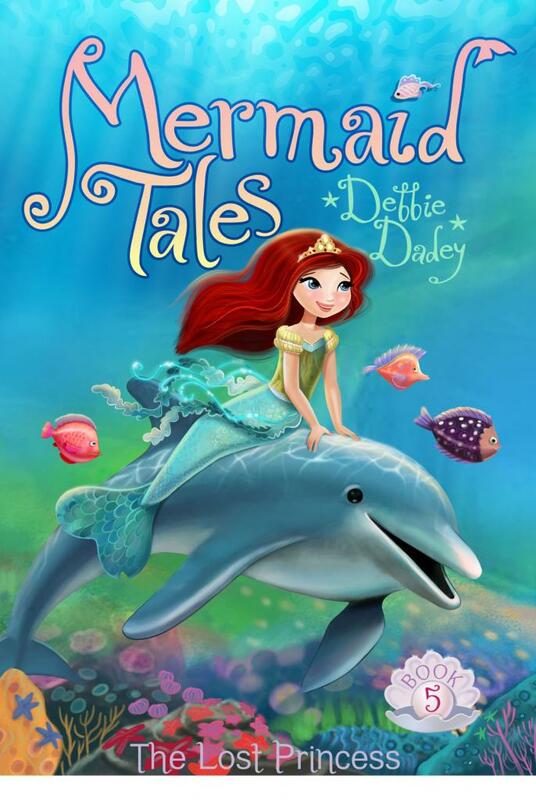 My favorite book by another author is A Year Down Yonder. Soltoth, I won't lie to you. Sometimes writing is fun and easy, but sometimes it's hard! McKenzie, I was about 27 when I started writing. Avery, Gabe, Selynna, and Mallory-I do like writing, although if you watch this writing video you will see my least favorite part! You might like to show it to your teachers. 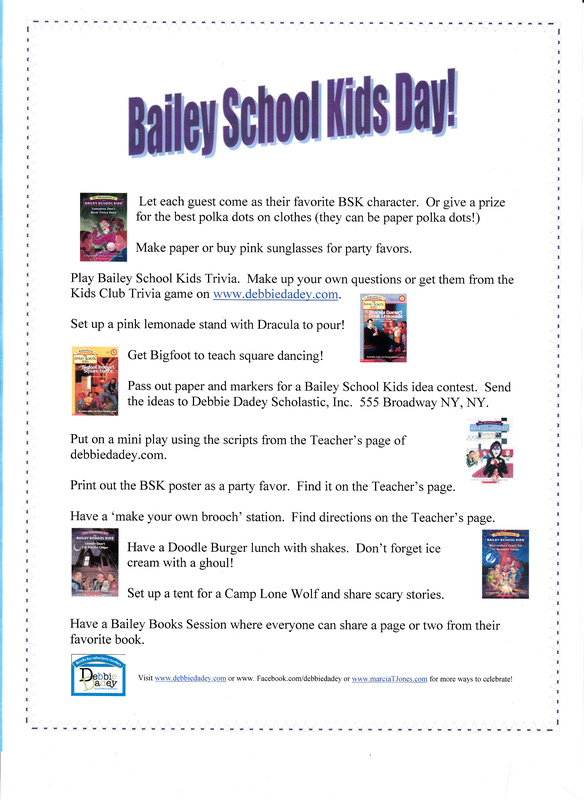 Only 5 days until Bailey School Kids Day on Sat., March 23rd! Hope Elias and his friends have great fun! 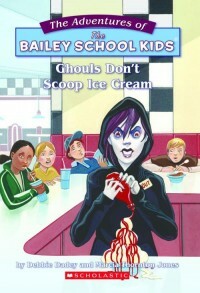 Rylie, I love the Super Eddie chapter in Ghouls Don't Scoop Ice Cream. It's my favorite chapter in the BSK books. I really like the title: Sloppy Creatures. Elias, I got the note from your mom. Maybe you can use the magazines for prizes since I don't have enough for the whole class. I will get them in the mail today. Raquel, so glad you liked Trolls Don't Ride Rollercoasters. Tristan, I do always read my stories before they are published-many times! Ashley, Zack, Miguel, Adam, Sam, Revel, Elaina it was fun chatting with you on Skype. Sam, I'd much rather be in person than on Skype. Elena, Molly, Kaleigh, Hannah, Lisi, Elijah, Olivia, and Maddie, your ideas were very fun. I do like dogs. Some of my books have dogs in them and, of course, Barkley School for Dogs is all about them. 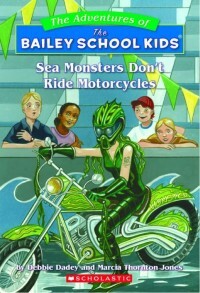 Lisi, have you seen Cavemen Do Drive School Buses and Sea Monsters Don't Drive Motorcycles? Elijah, my friend Marcia wrote a books called Godzilla Ate My Homework.